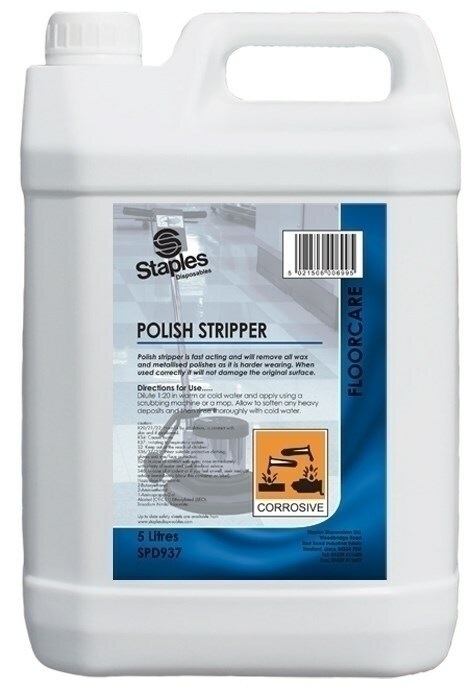 Staples Disposables Polish Stripper is fast acting and will remove all wax and metallised polishes as it is hard wearing. When used correctly will not damage original surface. Ammonia free, does not require neutralization. Dilute 1:20 in warm or cold water and apply using a scrubbing machine or a mop. Allow to soften any heavy deposits and then rinse thoroughly with cold water. 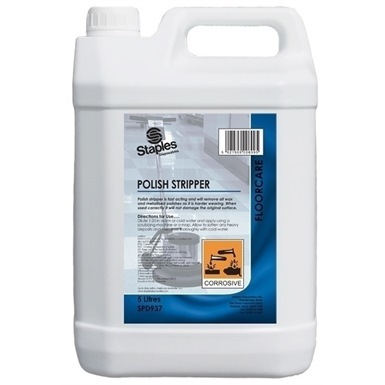 Removes wax and metallized polish. Dilute 1:20 in warm or cold water. Will not damage original surface. Not the floor care you were looking for? 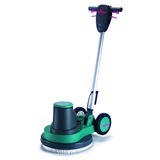 View more floor care or our entire range of cleaning chemicals.